Viveks, the famous electronics retail brand has come up with a sale called ViveksExpo2017 on the occasion of this Tamil New Year. 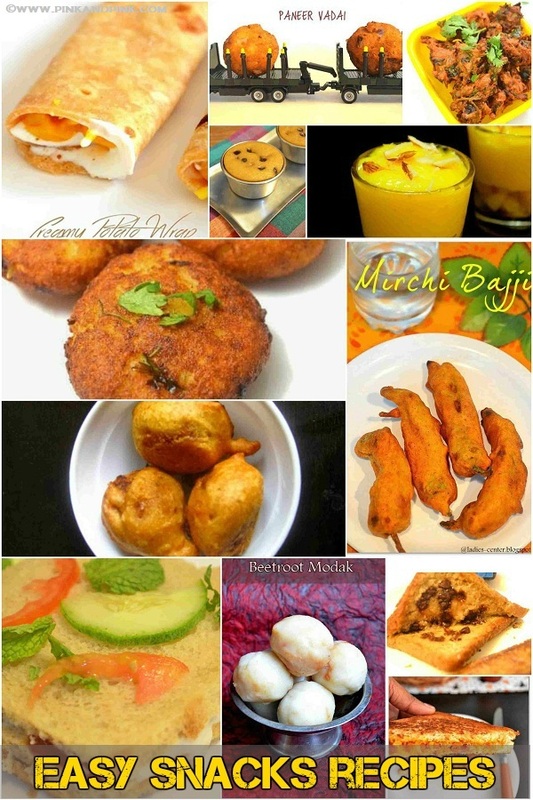 Many people plan their high-end purchases in Tamil New Year as it is considered highly auspicious in Tamil Nadu. 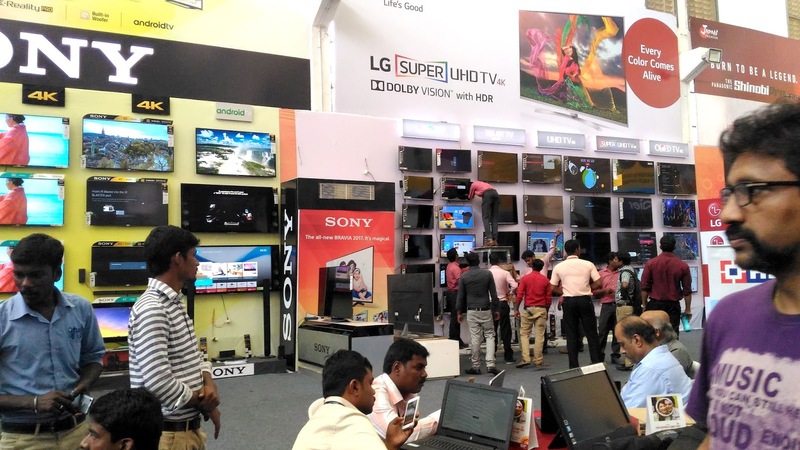 ViveksExpo2017 enables you to walk into their warehouse and buy your favourite electronic items in huge discounted price. I have visited the expo yesterday and was amazed at the huge number of items on sale. 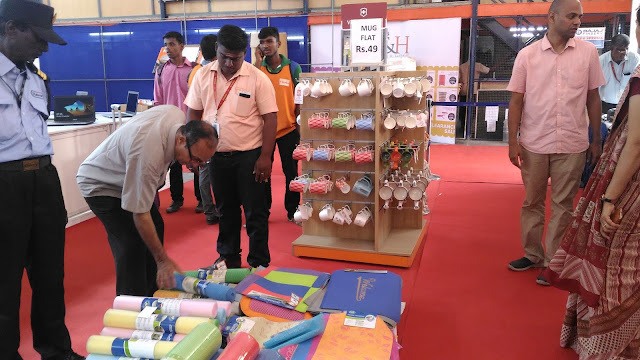 The expo houses more than 25000 products in a single place. The expo starts on 13th April and ends on 16th April. It is a very big event you should not miss. Read on to know more details about the expo. 13th April 2017 - 16 April 2017, Time 10 AM to 9 PM. From personal care item to mobile phones, you can find all the electronic items at the Viveks Expo. 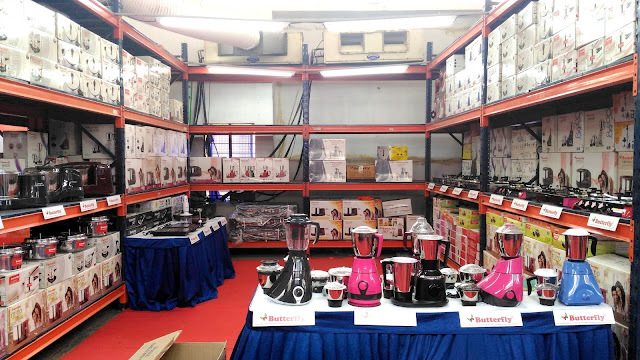 Hair dryers, laptops, mobile phones, printers, water purifiers, iron boxes, microwave ovens, OTGs, fridges, washing machines, Tvs, ACs, mixer grinders, cookers, grinders, air coolers and and many more products are available in offer price. Free gold coins and silver coins on April 14. 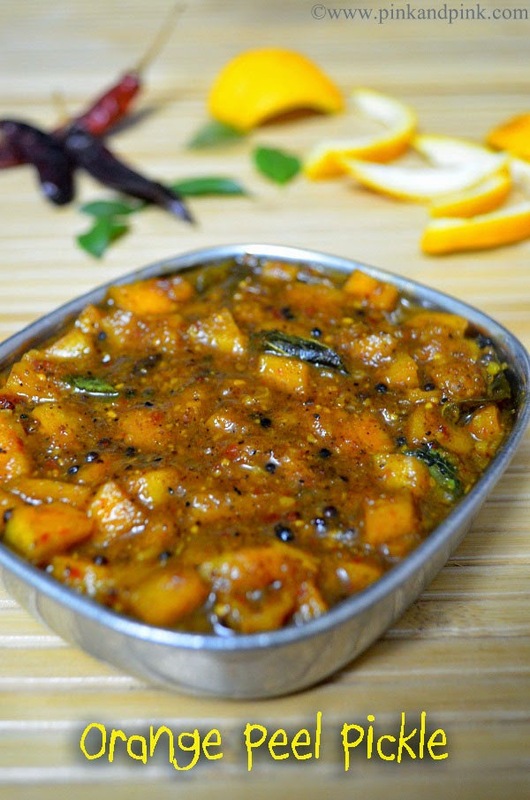 2/850, Mugalivakkam, Main road, Manapakkam, Chennai. People who know this area already can easily reach this place. People who have never visited this area, let me tell you the easiest way. You can reach this place by car or call taxi easily. If not, just go to Guindy. 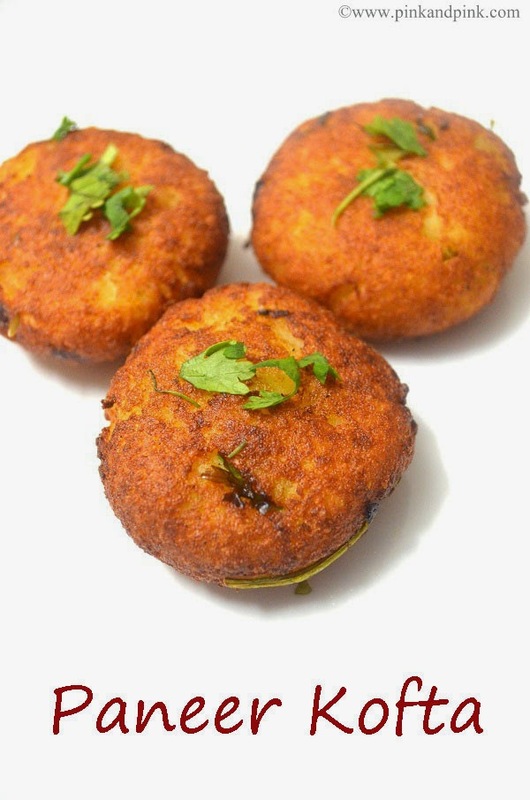 Take a share auto that is going to Porur and get down in Manapakkam Main Road. The share auto cost is Rs.15. From there, you can take an auto from the auto stand. It costs you Rs.50. Or else you can take a call taxi from Guindy. 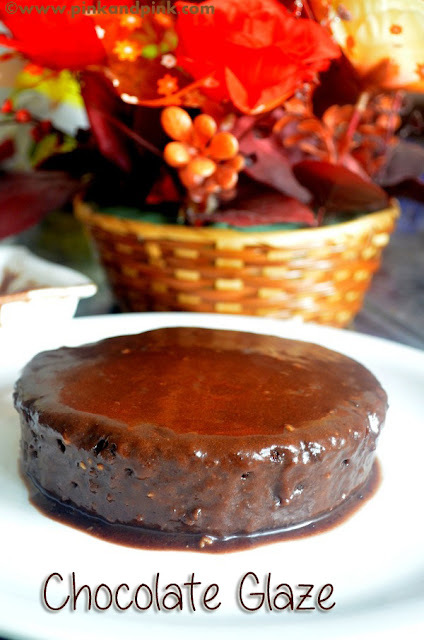 It will cost you around Rs.100. Here is a virtual walkthrough of the Expo. There are enough refreshment counters available and the expo is fully air-conditioned. So, you do not need to worry about shopping just because it is summer. 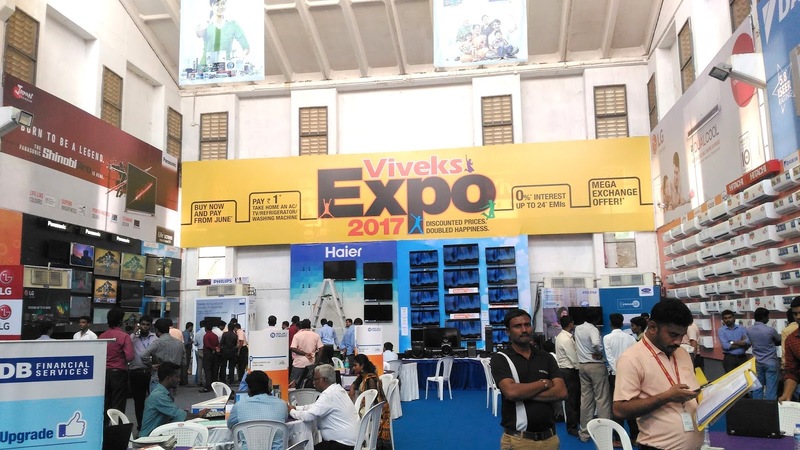 Once you enter the Viveks Expo, you can see a building on the left side which is dedicated exclusively for ACs and TVs. 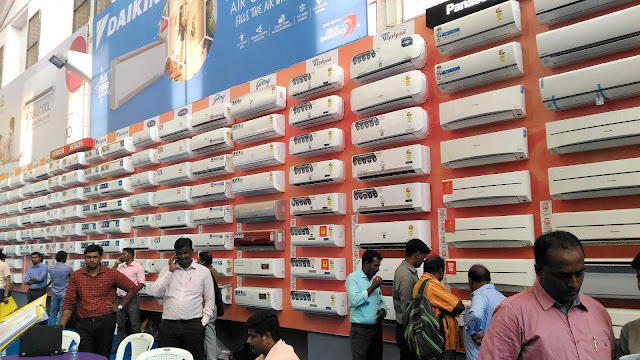 A lot of AC models are available in discounted prices from top brands like Voltas, LG, Daikin, Samsung, Hitachi, Whirlpool, O General, Godrej, Blue star, Carrier, Haier, Panasonic and so on. Also, many types of latest TV models are available like LED Tv, Smart TV, UHD TV, Super UHD TV, OLED TV from top brands like LG, Sony, Samsung, Panasonic, Haier, Micromax and so on. ACs are well-organized according to their brands. The next building is for Fridge and Washing Machines. I have seen so many models of washing machines which I have never seen before. I have seen only a few washing machine models from very few brands like Whirlpool, LG, Samsung and IFB. Also, there will be hardly one or two models from each brand. 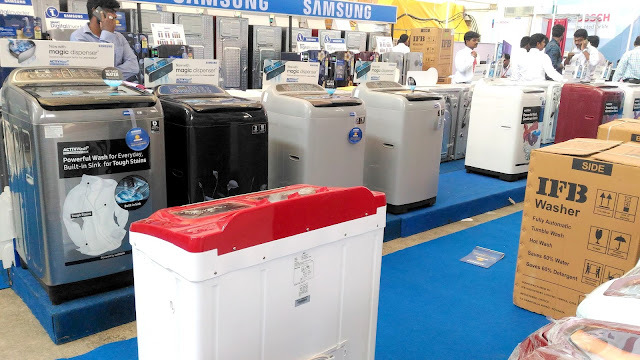 But in this expo, I have seen so many models from Haier, Godrej, Bosch too in addition to those brands. There is a building on the right side in which mobile phones, home and kitchen appliances are available. Top mobile models from eminent brands like Vivo, Oppo, Moto are available in discounted price. 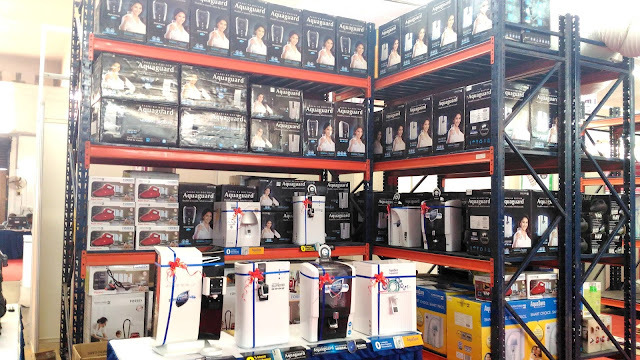 There is a special section for Aquaguard purifiers. Aquaguard Enhance, Genius, Superb are some of the models available in that section. 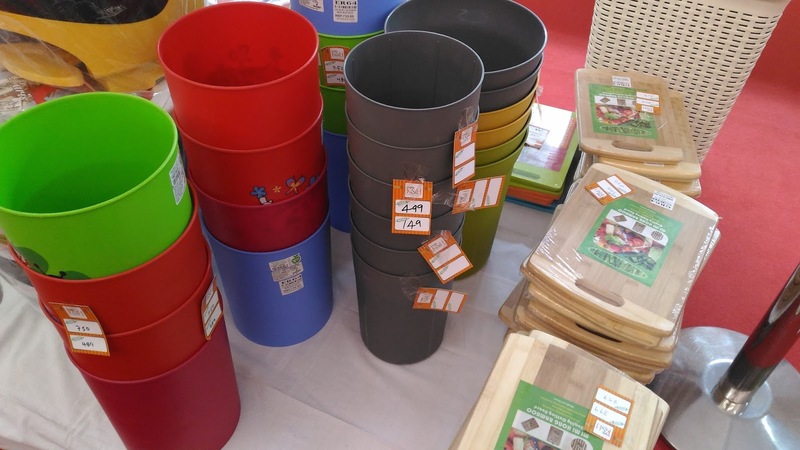 Small home and kitchen needs are also available like cutting boards, bins, cutleries, lunch boxes, yoga mats and so on. 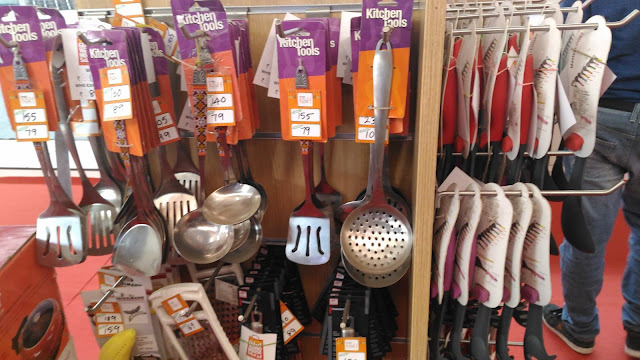 Most of the kitchen tools are available in more than 50% discounted price. There are some colourful and attractive bins worth Rs.499 are available for just Rs.149. Cutting boards are available in different sizes. 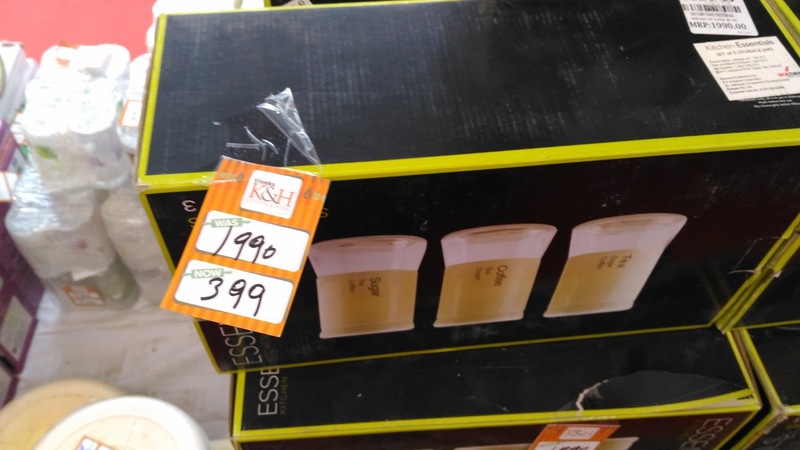 The set of 3 jars worth Rs.1999 is available for just Rs.399. There are some colourful mugs available for just Rs.49. 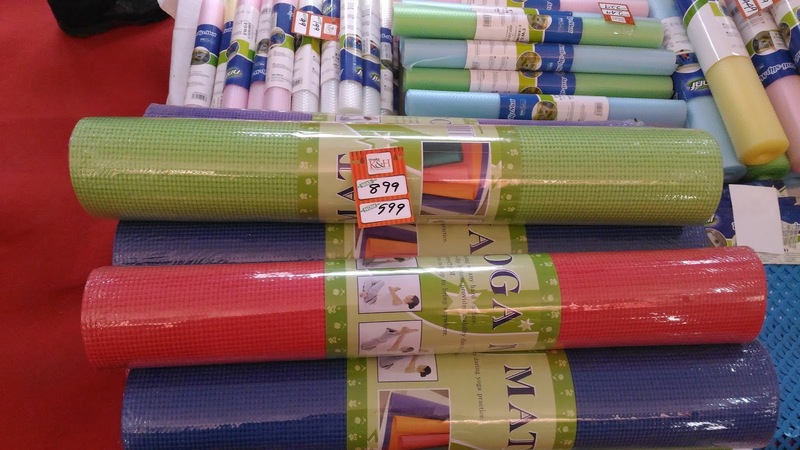 Yoga mats worth Rs.899 are available for just Rs.599. There are anti-slip mats and table mats also available in huge discounted price. How many of you save a little amount of money every month to buy an electronic item to your home? How any of you wait for sale timings to buy the product at a discounted price? How many of you buy from online as you can choose from more models? How many of you squeeze yourself in this scorching heat and visit 10s of stores to see different models? 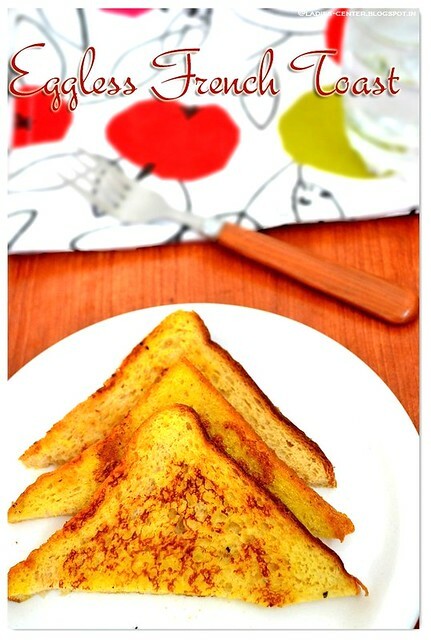 Though we put a lot of effort in choosing the best product, we always have the feel of missing something. 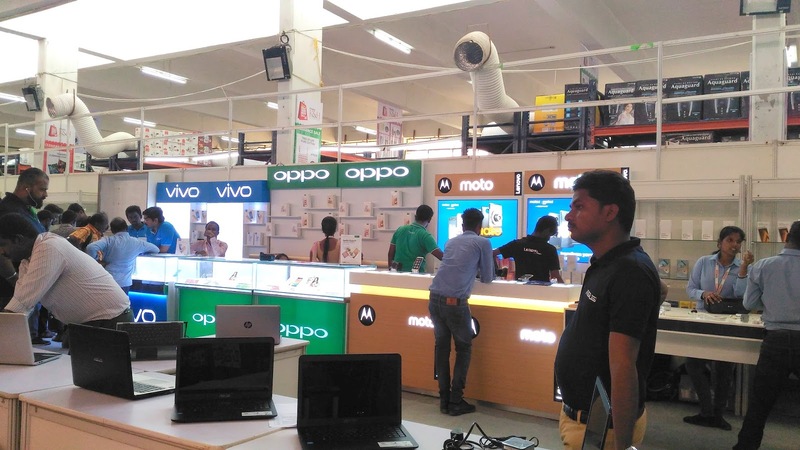 Though you visit 10s of stores, there are chances that the one product which suits all your requirement might never be available in all the stores you have visited. 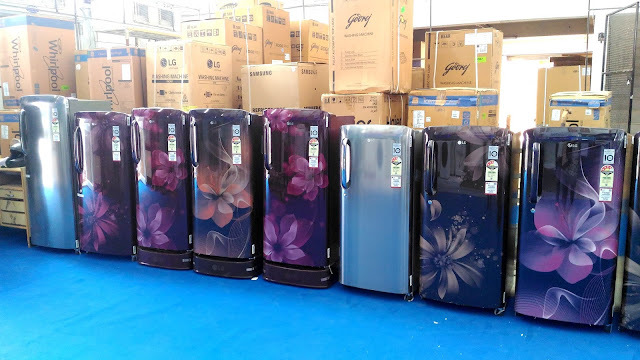 Though you have checked different online shopping sites to choose from different models, you might miss the satisfaction of having the look and feel of the products. 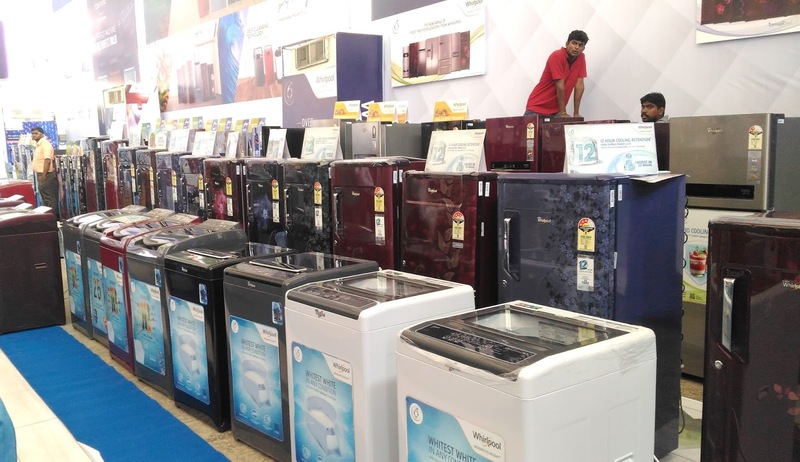 You might have rushed during festival timings to grab your favourite electronic product in discounted price but ended up in disappointment because that particular product might not have been at a discounted price. No more disappointments! No more worries! ViveksExpo2017 lets you shop your favourite product without any regrets. 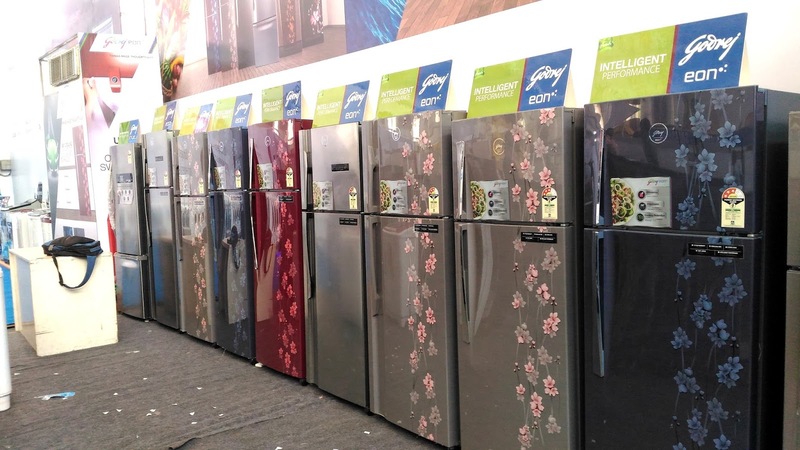 Be it a fridge, washing machine, TV, AC, is it not the hard earned money you saved each and every month to buy that one electronic product? There are even people who take personal loans to plan their purchase. With ViveksExpo2017, you are not going to choose a product from 10s of models. You are going to choose from 100s of models. Yes, there are more than 25,000 products from 100s of Top National and international brands available for you available in a single place to choose the best one. You can follow the event in Vivek's social media handles. You can keep yourself updated about the latest offers and discounts. 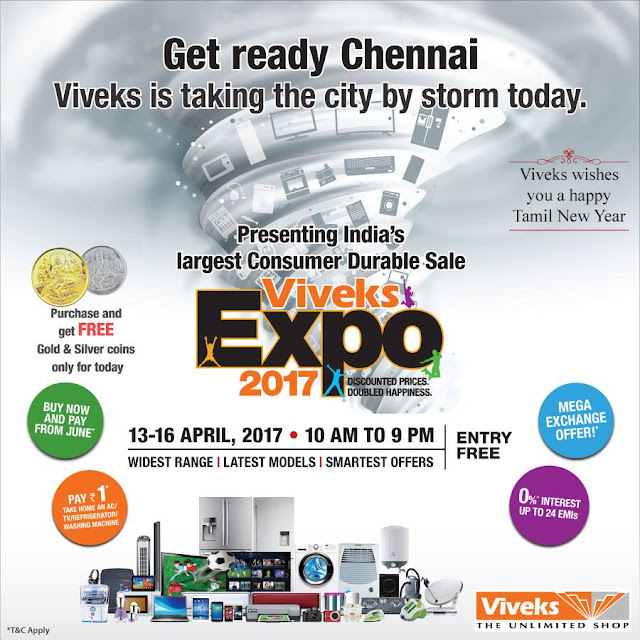 I would highly recommend you all to visit the Viveks Expo on this occasion of Tamil New Year which is considered auspicious for planning your high-end purchases. Don't miss it. Happy Shopping!